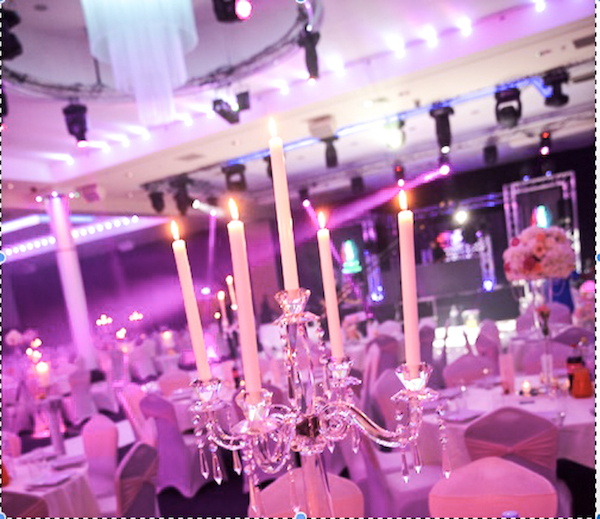 Can you tell us about the background of Lavish Events? For instance, how and why did the company start, how many weddings have you done? My husband and I officially started our journey with Lavish in 2007 in the United Kingdom. At the time, we offered only a few items for weddings: a chocolate fountain and chair covers to be precise. While we were at events providing these services, I was always mesmerised by how a venue was transformed when decorated. At the same time, I had my own ideas about how I would decorate a venue, and there were clients wanting to know what else we could offer. At that point I knew I wanted to develop a business and start designing events. Eventually we began expanding our inventory to meet our clients’ requirements, and soon we got our first small warehouse. We grew out of that one within a year and then grew out of our second warehouse. Ultimately we got a space—including a showroom—we could grow into. Wedding and events became my true passion and I left my job in accounts to design events full-time nationwide. Despite the success we had with Lavish in the U.K., when the opportunity presented itself to move to this country, my husband and I knew we had to give it a chance. It had always been our dream to raise our family in Canada. In our first year in Ottawa, I travelled back to the UK on a monthly basis to continue on with the commitments we had with Lavish, but it was difficult with two small children. Ultimately I had to make a decision about what we were going to do with Lavish. In January of 2017, we decided to launch Lavish in the Ottawa market, by the end of March we had shipped over our first 40-foot container of inventory and a week later we exhibited at the Ottawa Wedding Show. It all happened fast but the response has been amazing. In all honesty I had not been expecting to be fully booked for our first wedding season in Ottawa. I am so glad we made the decision to launch here. 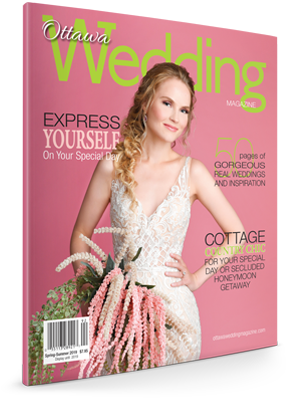 We have been very fortunate to work on some amazing events alongside some of the very best wedding and events vendors in Ottawa in our first year. We are also grateful that we have been given the opportunity to continue what we love with clients booking us for events all the way into 2019/2020. I feel we have definitely fit into the Ottawa market nicely with venues, industry vendors and clients already recognizing our capabilities. We are looking forward to growing Lavish Events in Ottawa going forward. I have lost count of how many events we have done to date; it is well over 1000. We haven’t hit the 100 mark just yet in Ottawa but I am keeping count this time and I am hoping by the end of the year we will be celebrating the 100 mark! To date, we have had the opportunity to work at the following venues: Strathmere, Le Belvedere, EY Centre, Orchard View, Stanleys Olde Maple Lane, Lago, St Elias Banquet Centre, Crown Plaza Gatineau, All Saints Ottawa, National Gallery of Canada, Sala San Marco, Villa Marconi Centre and the Canadian War Museum. We are also looking forward to upcoming events at Hilton Lac Leamy, Double Tree Hilton Hotel Gatineau, Infinity Conference Centre, Brookstreet Hotel, Fairmont Chateau Laurier and Ottawa Conference and Event Centre. As a full service decor company, we can take any space and transform it into a beautiful event setting using draping, lighting, ceiling decor, table decor and centrepieces, stage decor, backdrops, head tables, walkways, wedding furniture, floral design, linens, tablescapes and more. The list is endless as we are always updating our inventory. We have a whole new range of inventory on its way for 2018. 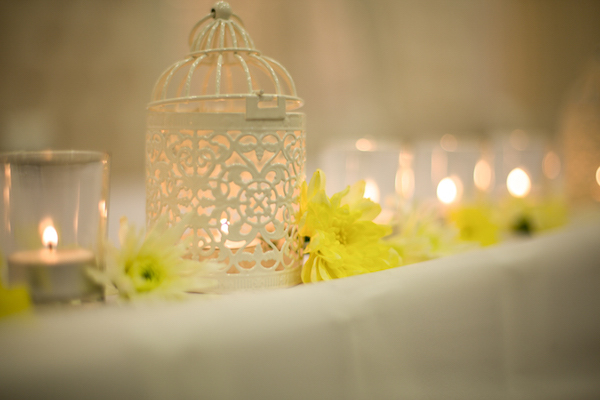 Lavish Events offers Décor & Design, Rentals, Florals and Events Management. Who do you cater to? Our main clients at Lavish Events are brides and grooms. We also do a lot of bridal showers, baby showers, christening events, and other special events and celebrations. We also cater to and for catering companies, wedding planners, corporate events, galas, awards ceremonies and Christmas parties etc. (Whilst we cater to all types of weddings, we were in high demand for Indian weddings in particular in the UK, with the average number of guests being 600. 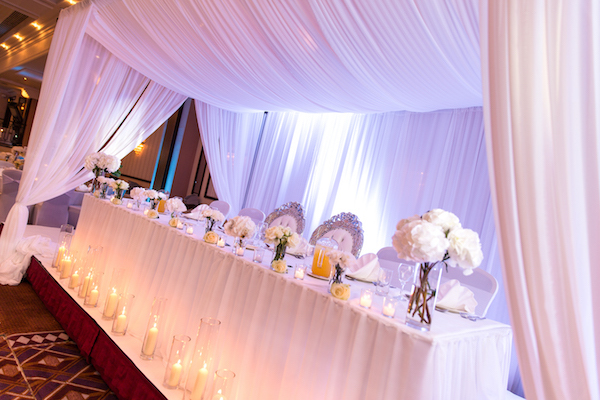 We have found that weddings are a lot smaller and more intimate in Ottawa and therefore we really get the chance to focus on all the finer details. This also means we have capacity to do a number of events at the same time due to our large inventory. On a separate note, since getting to know the market we have come to realise there aren’t many companies that can cater for larger events or for Indian clientele who sometimes require large structure and mandap setups etc. We are pleased to be able to offer this to those clients so they no longer have to travel to Toronto or Montreal or bring in companies from Toronto and Montreal to meet their requirements. 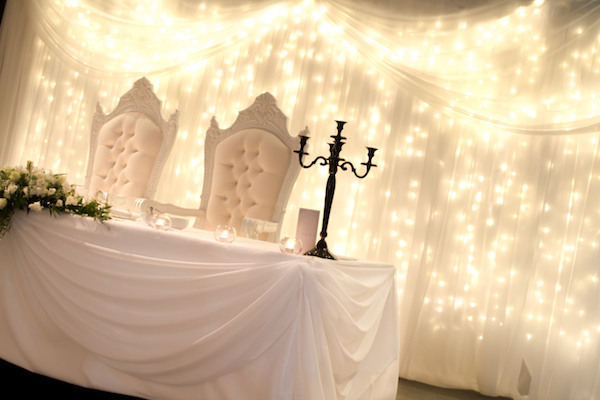 Most of our clients take a full décor package from us which generally includes decorating and setting up the entire event from the ceremony to reception, from guest table layouts to the décor on the guest tables, the head table and backdrops, venue draping, lighting the venue and whatever else you can image. How do you help make a wedding extra special and memorable? This is something that is very very important to me as we only get one chance to make the couple’s wedding day dreams come true. At the initial meeting we start by getting to know the clients and their style. To date we have not done an event that is the same as the last. 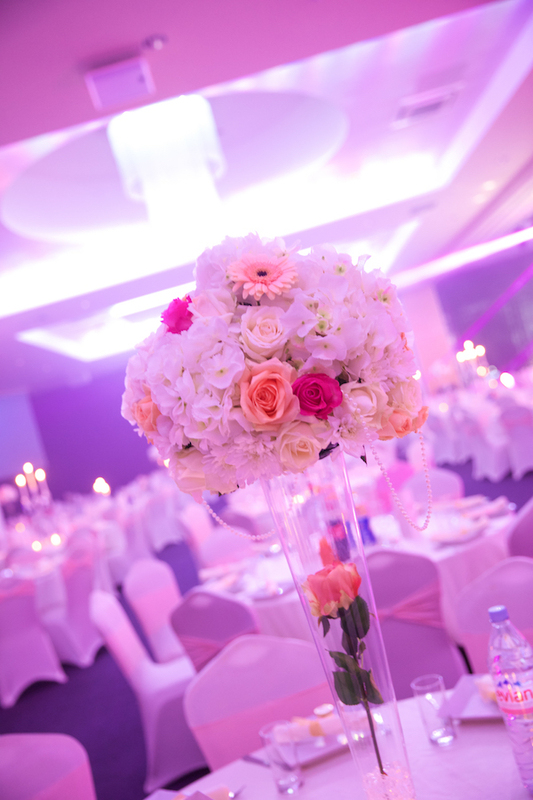 We always strive to find out what the clients like and then design a package that is bespoke and that reflects what they want for their big day, the theme that they envision and the mood and ambiance they want to set. Whilst some companies take on a booking and then turn up on the day we are very different in that we walk through the whole process from the moment we meet to the day of delivery with several meetings and conversations to ensure everything runs smoothly and that every detail is covered. We like to create an experience for our couples so that they can enjoy themselves on the wedding day and not have anything to worry about. A lot of our clients become friends by the end of their weddings and it’s lovely when we get recommended to their friends and family and end up seeing them again at those events. We are a very friendly and approachable business that will go to great lengths to ensure everything is perfect for our clients’ events. We are currently working on a new website that we are excited to launch (as soon as it is ready). We are also excited as we search for a showroom that we aim to have open by summer. We can be followed on Instagram and facebook. Anyone interested in any of our services can contact us at 613 558 4695 and we will be happy to arrange a free consultation where clients can also view our extensive portfolio of work.